Company Creed - MAGOKORO Co.,Ltd. “Even in such a diverse and complicated society, real change can only be achieved when we step out of our safety zones. We believe it is important to hold faith and sincerity as high principles without forgetting gratitude. One by one, with our raw materials we will build our environment, grow our production and spare no time nor effort. That is the management ideology of Magokoro Co.,Ltd. Our goal is to help people lead a wonderful and prosperous life. My favourite words are of our company’s name “True Heart” and “Will”. In addition, our company approach is “gratitude”. I believe Magokoro Co., Ltd is to make people happy. Without “True Heart”, without sincerity, we cannot last forever. To pass on this sincerity to people in abundance requires “will”. Without this will, it is easy to choose the simple path and we cannot spread joy to more and more people. So, with “True Heart” and “Will” it is my aim to provide the necessary, quality health food to maintain a plentiful and wonderful life. I have always believed that gratitude is imperative and I sincerely appreciate all my ties and relationships. Magokoro Co.,Ltd is dedicated to learning more about the concept of health food and nutritional supplement. This way we can keep providing our customers with better quality health foods and more variety for a satisfying and joyful life. Even in such a diverse and complicated society, real change can only be achieved when we step out of our safety zones. We believe it is important to hold faith and sincerity as high principles without forgetting gratitude. One by one, with our raw materials we will build our environment, grow our production and spare no time nor effort. That is the management ideology of Magokoro Co.,Ltd. Our goal is to help people lead a wonderful and prosperous life. In order to provide these genuine products, farmers, manufacturers and researchers must come together to devise the best possible combination. Additionally, our staff have a straightforward knowledge of our health foods that they can talk about with depth and conviction. We believe it is our mission to promptly and carefully build an earnest and enduring bridge between ourselves and our customers who are waiting with high expectations. As we develop, we will not forget to thank those around us. We will constantly strive to explore better and more affordable health foods, we will endeavour to help you have a pleasant and prosperous life. In order to smile at the world and have it smile back at you, we shall continue to deliver high quality health food into the hands of our customers. We will realise a flourishing health society through safe and sound food. I would like to thank you for your support and your continuing guidance and patronage. I pledge my devotion to Magokoro Co.,Ltd forever. 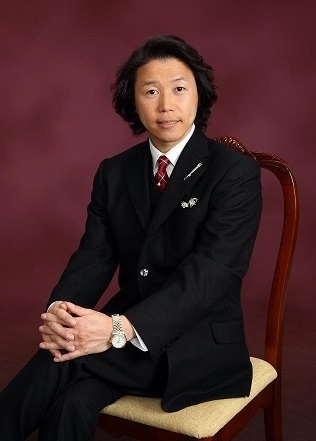 Executive member of the Japanese Operation Research Association.